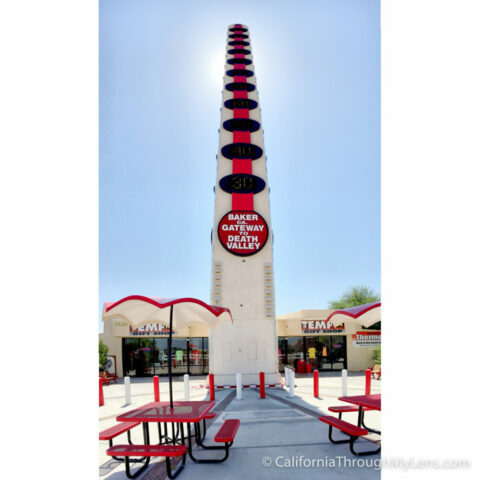 The town of Baker is a place that has made a name for itself based on its giant thermometer and its location right on the 15 freeway in the middle of Las Vegas and Los Angeles. It is also the main way to enter Death Valley from the south side, but I feel it is not used as often for that as it is for pit stops. So what do you do if you find yourself in Baker? Read this post to find out. Yep, you read that right, the first thing you should do on your trip through Baker is stop and pose with the statue of Roald Amundsen, the man who discovered the South Pole. Now I know what you are wondering,”why is it here.” Short answer, I have no idea, but I am totally cool with that. 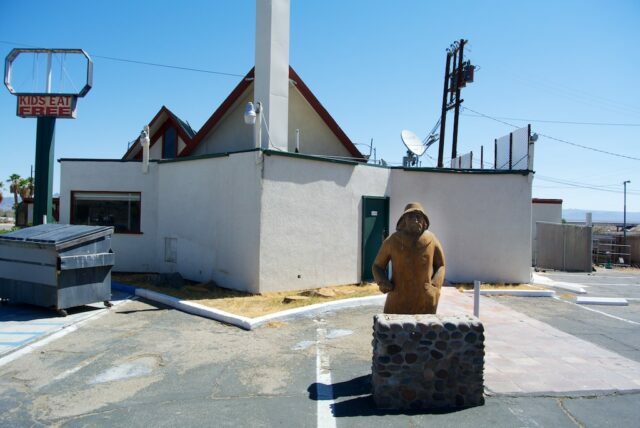 When I was there the plaque was gone, but it used to read “Discoverer of the South Pole, was the ancestor of Pike’s Service Center founders Milton Pike (formally Marlowe Amundsen) and Thelma Hutton Pike, Parents of Gale H Pike).” I have been told that it is no longer there so you might not be able to see it (2017 update). While there are a lot of food options like Quiznos, Subway, Dairy Queen and Denny’s, for my money the best food in Baker is the Mad Greek. 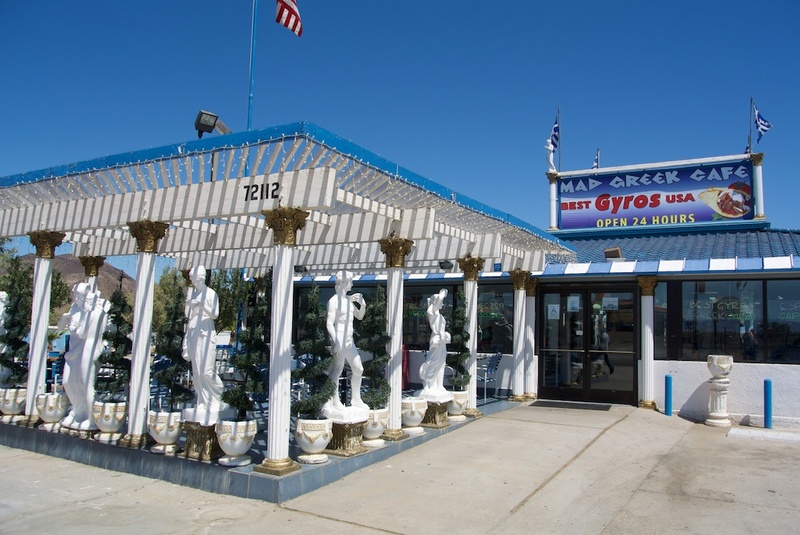 You can read my full review but just make sure to get a Gyro and some baklava. The thermometer was fixed, and you can now see the working temperature when you drive by. It houses a gift shop at its base, and you can read about it here. You will want to take a picture of the world’s largest thermometer though, and it is even better that it is now actually alive again. Let’s face it, this place rules. 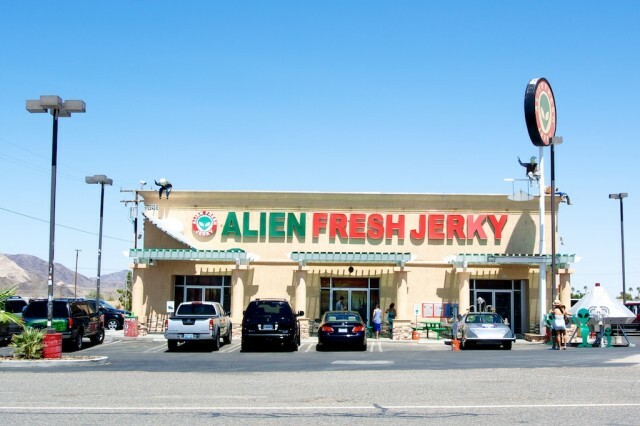 Even if the jerky wasn’t good, it is, or it didn’t have lots of cold drinks, it does, this would still be an epic place to stop because it has what you really need, fun alien stuff. There are a couple aliens sitting in a car outside, a UFO on the roof and an alien sitting under the sign. 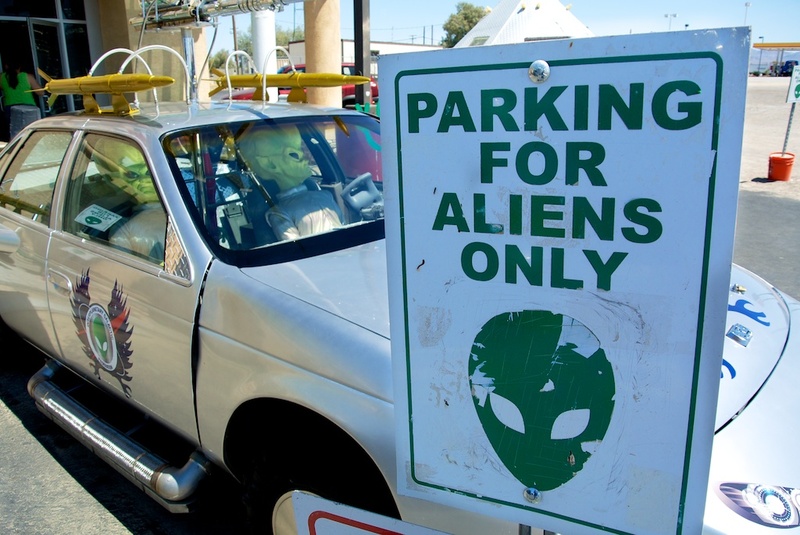 You can buy everything from fake Area 51 access passes to multiple jerkies. I recommend you try the whiskey or the honey teriyaki. Alien Jerky is a great last stop as you leave Baker. Here is a video I made with more spots to explore on the way to Vegas as well. 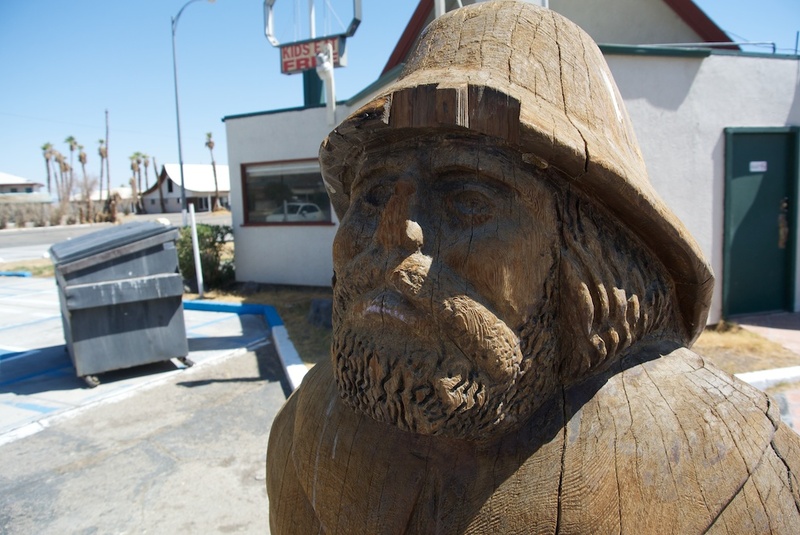 So there you have it, a perfect way to spend 15 minutes while driving through Baker on the way to Vegas. I would love to hear if I missed anything in the comments so feel free to let me know.